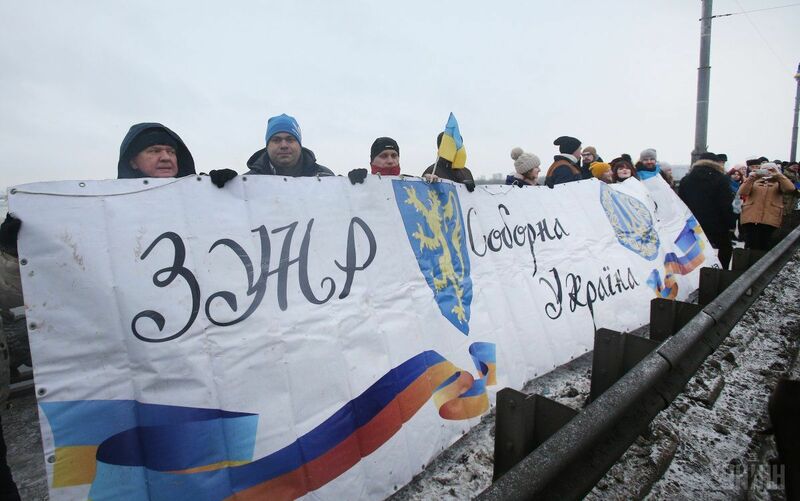 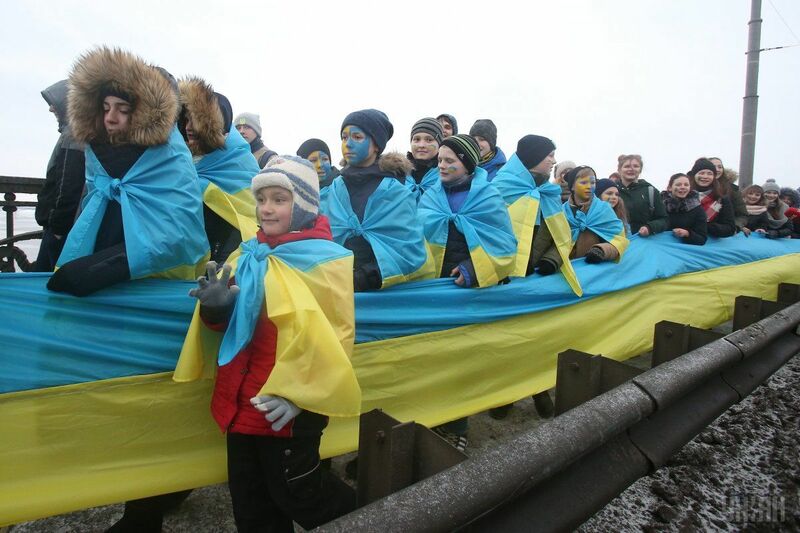 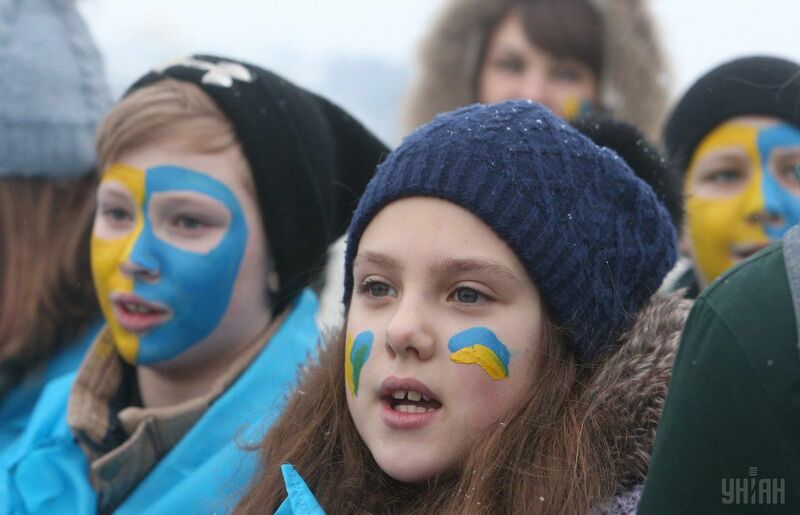 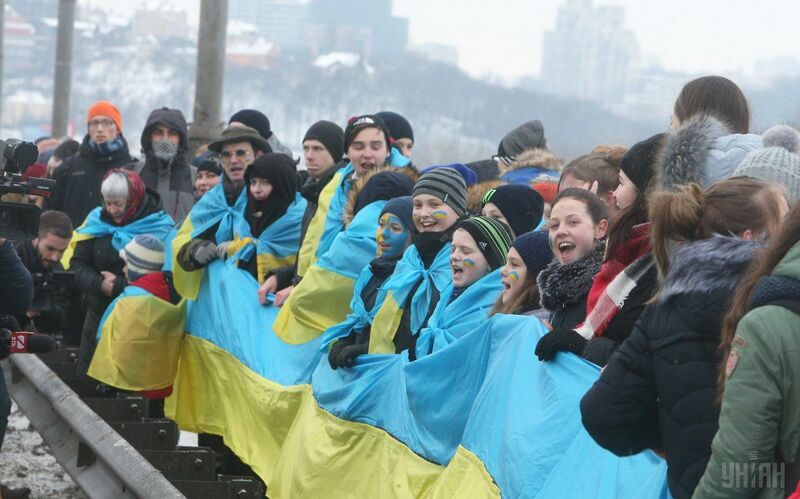 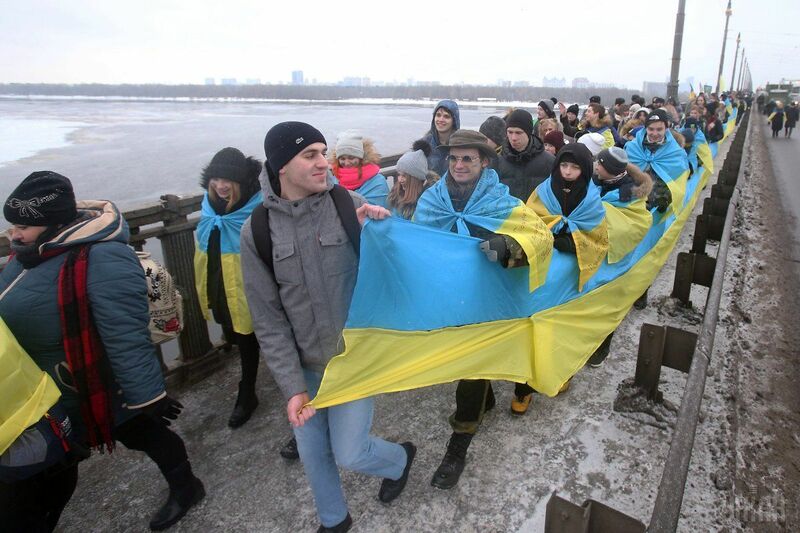 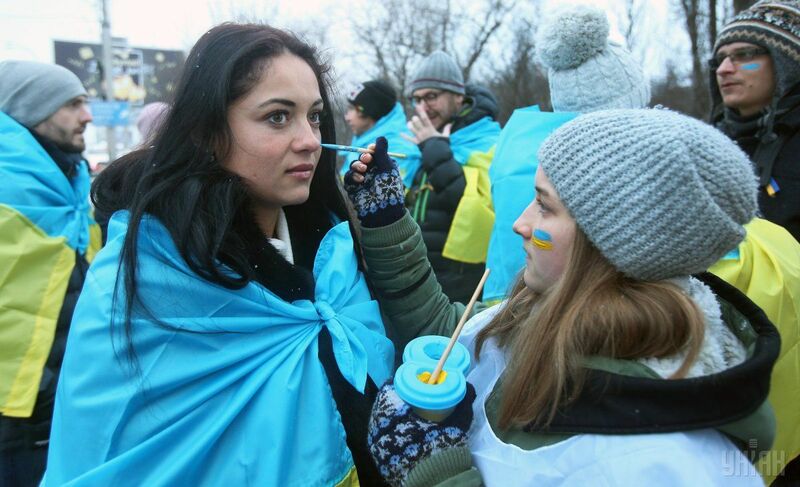 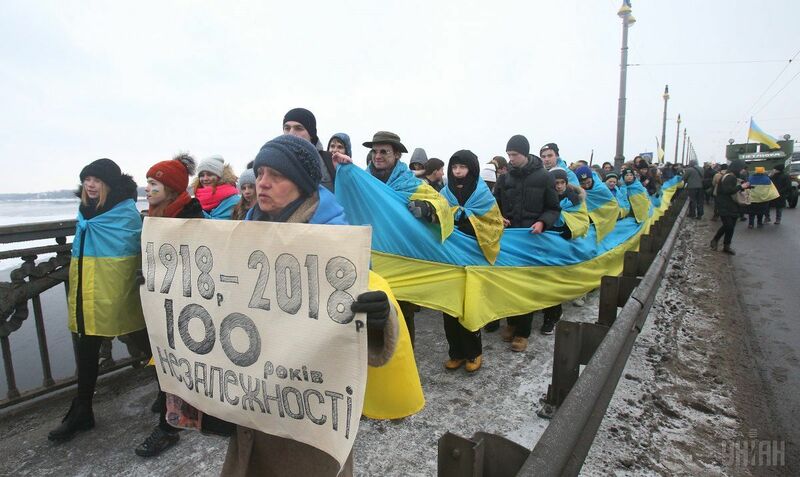 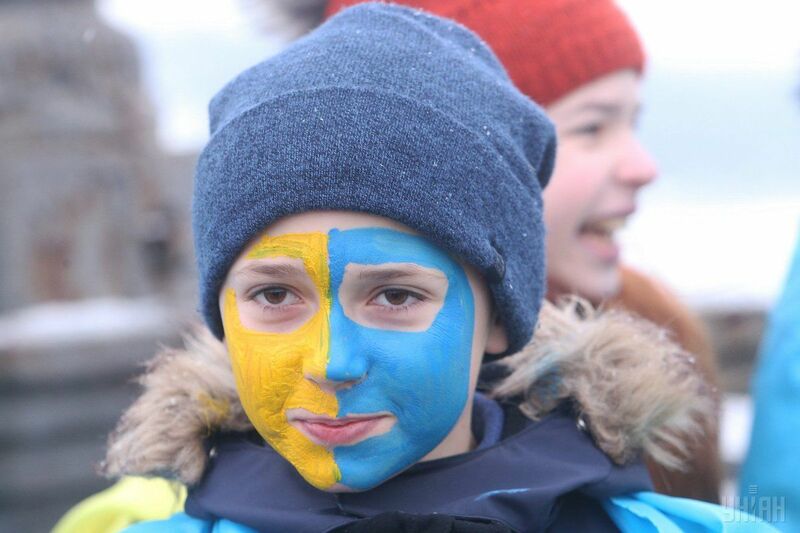 Ukrainians formed a human chain across the Dnipro River on Kyiv's Paton Bridge to celebrate Unity Day on Monday, January 22, according to an UNIAN correspondent. 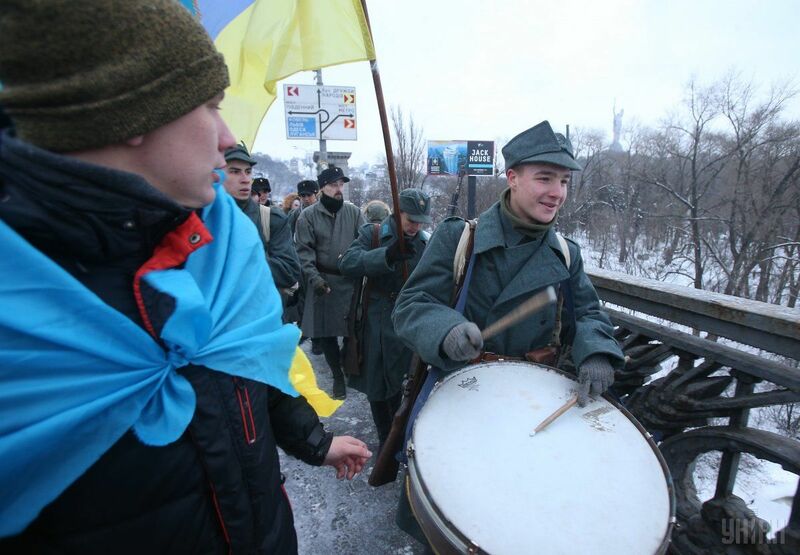 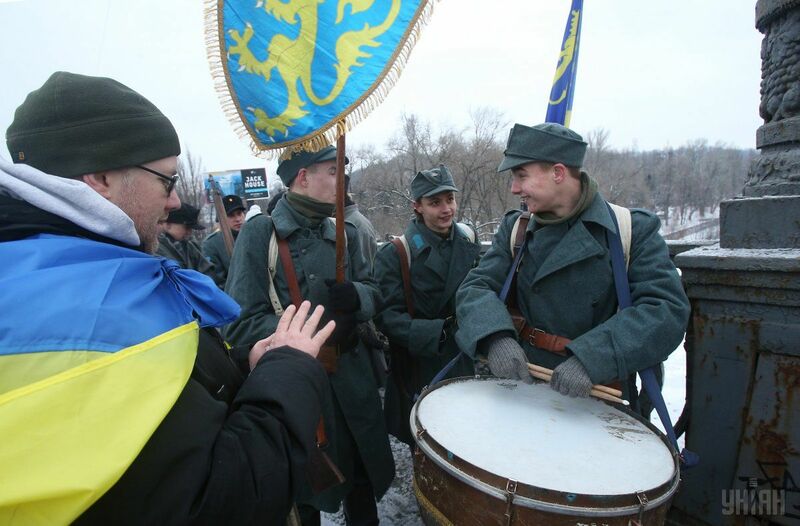 Similar acts have been staged across Ukraine for the past 11 years. 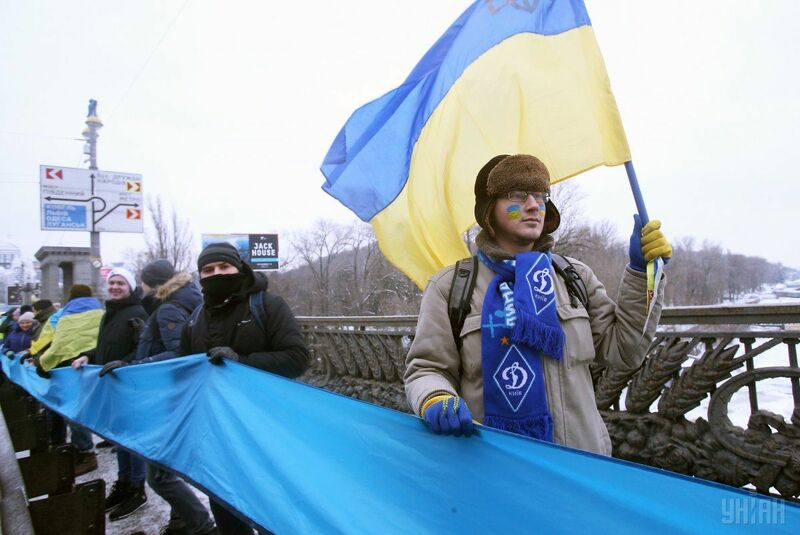 Today, activists plan to stage 282 rallies across the country. 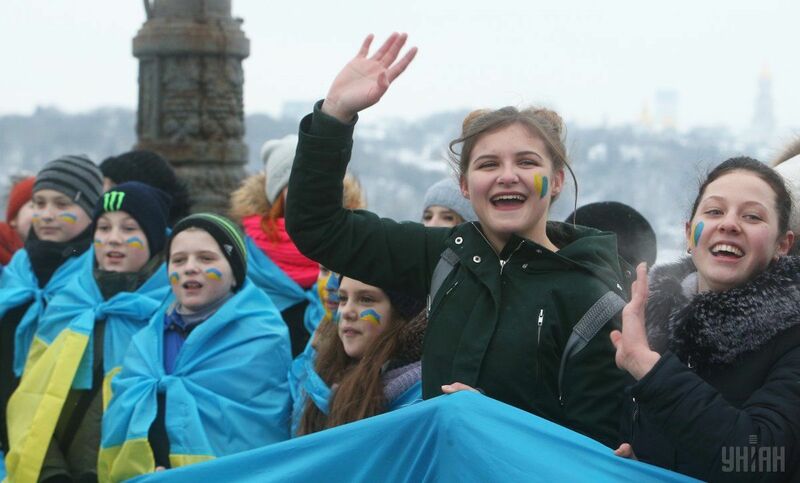 "According to preliminary information, more than 62,000 people will take part in [this year’s] celebrations," the National Police said. 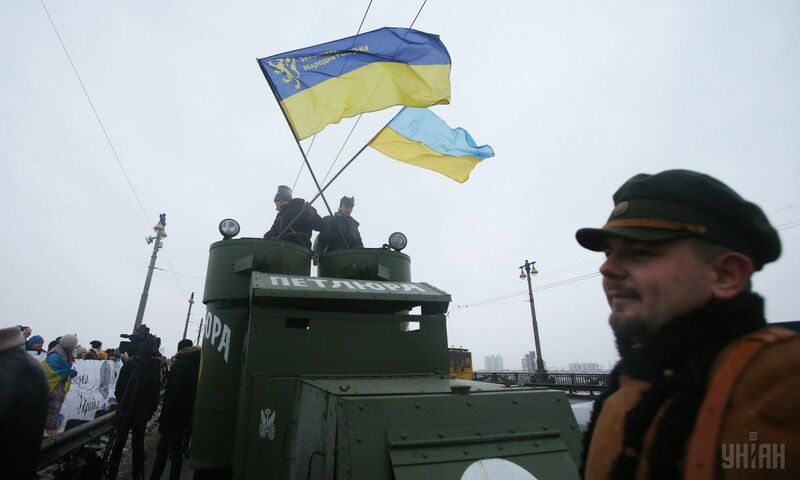 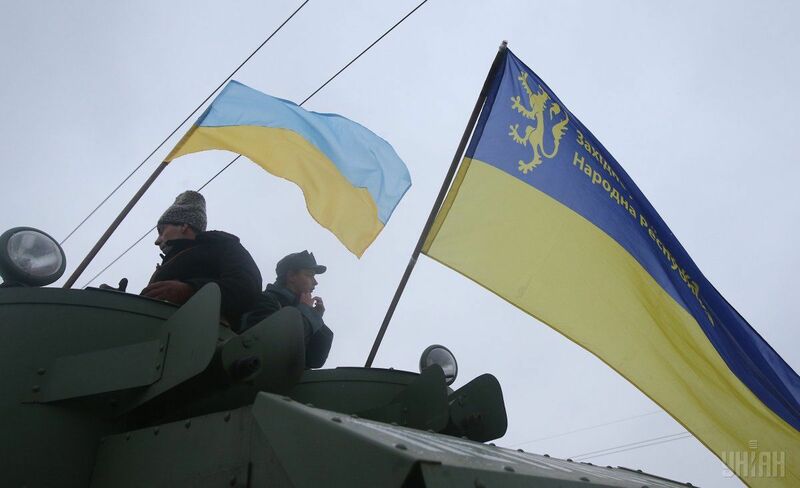 Read alsoKravchuk: We must unite around Ukraine, not around those calling to uniteOver 3,200 law enforcers, including 560 servicemen of the National Guard of Ukraine, will provide public security and order amid the rallies. 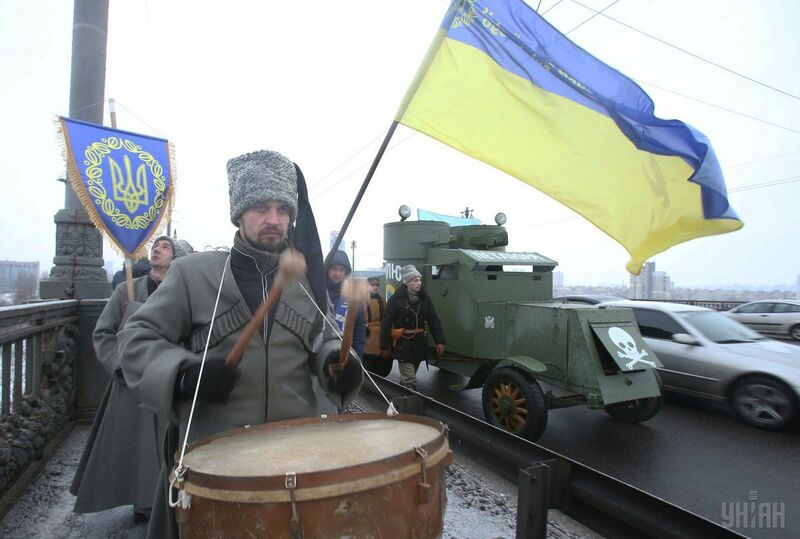 On this day of 1919, the Act of the reunification of the Ukrainian People's Republic and the Western Ukrainian People's Republic was proclaimed.